We were honored to have an interview with Sarah de Carvalho, the founder and Chief Executive of UK-based charity Happy Child International. Sarah began her career in television production and film promotion in London before moving to the slums of Rio de Janeiro to work with street children. In 1993 Sarah founded the charity Happy Child International which in nearly 20 years has rescued over 9,000 street children in the cities of Belo Horizonte and Recife in Brazil. Beginning with a 24 hour shelter in Belo Horizonte, the charity has expanded by opening 11 centres with 70 staff able to receive 150 children at any one time. Sarah has since returned to the UK where she lives with her husband and children and is a leading campaigner for street children. She was awarded an MBE for her services to Happy Child in 2012 and is the author of two books, The Street Children of Brazil and Solomon’s Song. In 1991, you were a successful TV producer Sky TV, yet you decided to give up your career in film promotion and TV production to to work and live in a shanty town in Rio de Janeiro and dedicated yourself to rescue street children in Rio de Janeiro. What led you to make this radical shift in your life/career? Can you explain to us what is Happy Child International (founded in 1993) , how does it work? Can you describe your current role as CEO of Happy Child Foundation (founded in 2015l)? There are two organisations: one is Happy Child International, which I set up 23 years ago in Brazil, and which has its focus on work on the ground, meaning the rehabilitation and the reintegration of street children and children at risk, to reintegrate them back into education and into society. The other organisation is Happy Child Foundation which I set up in 2015, to specifically focus on preventative work. We believe that prevention is better than cure. The work on the ground began by opening a Day Care Centre in the basement of a church. In the 90's , they were lots of street children, and back then between 40 to 50 children were coming into the centre during the day. But it was really hard to see them leaving the centre and sleeping on the streets again at night, so we found a beautiful farm just downside the city center. During 20 years, hundreds of children were rescued and lived on that farm. Today, many of these children have now a family of their own, because Happy Child has helped them to get an education and encouraged them to go to the University and to pursue a career. For 23 years, Happy Child has rescued more than 11,000 children and ran 15 projects on the ground, mainly in Brazil and Angola. However, most of these projects are now self-sustainable, which means they are locally run and locally funded. Today, I am Honorary President for this work on the ground, because my focus is now on the Preventative work for the Foundation which runs the global It’s a Penalty campaign. The It’s a Penalty Campaign harnesses the power of sport to prevent children from being exploited online and offline. I became aware that vulnerable children were at risk of exploitation, especially around major international events. It all started when I met a young street girl called Rose, in 2012, before the World Cup in Brazil. When I first met her, it was late at night and she was standing outside a motel with a group of very young girls. She told me that when she was 11 years old, her mother sent her out to the streets to beg for money, because they were no food at home. Soon she had got caught up with a pimp. She told me that her clients came from Europe, America, Africa, as well as from Brazil. By the age of 16, she'd given birth to two babies. I remember to this day when she looked at me and said: “Please, do something to help us!”, Rose represents hundreds and thousands of children who are in the same predicament all over the world. When I came back to the UK, I called a friend of mine, a reporter from the BBC, and asked if he could do a report for BBC World. We were soon contacted by the Metropolitan police, who told us about Extraterritorial legislation, which are provisions in law that allow countries to prosecute their citizens for the abuse of children even if it takes place abroad. Currently, this legislation exists in only 43 countries worldwide; in the European Union, all member states have some form of extraterritorial legislation which would protect children from exploitation at the hands of their citizens, except from Croatia, Malta, Estonia and Slovakia. One of the consequences of 500,000 sporting fans and tourists travelling to one country for a short period of time, is that vulnerable children are exploited, because there are groups of unscrupulous people who want to make money from them, and they dress them up to look older than they are. The Metropolitan police encouraged us to launch a campaign to educate about the issue of child exploitation, inform people about the legislation, and promote mechanisms to report a crime. Can you give us more details about “It’s a Penalty Campaign”? we relaunched the campaign in 2016 for the Olympic and Paralympic Games in Rio. We were the first organization to be allowed inside the Olympic Park. We made a new film with famous names, shared inflight on 9 international airlines, including British Airways and American Airlines, and showed on the giant screens inside the Olympic park. We also launched a massive campaign on social media. In total, we reached 212 million people with this campaign. We made an impact, because no incidents where reported on the ground, on the venue, regarding crimes against children. What we are trying to do is to change behaviors and change attitudes. Our next global campaign will be l for the PyeongChang 2018 Winter Olympic and Paralympic Games in South Korea, and the Gold Coast 2018 Commonwealth Games in Australia. Following these, we will relaunch ahead of Tokyo 2020 Olympic and Paralympic Games in Japan. Have you kept contact with the children you rescued? Do you know if they have become successful in their lives? I had a reunion on the Happy Child farm a few years ago, with several of the original children who came to the farm 15 years earlier. Most of the boys are in their 30’s now, and have families of their own. In particular, I remember Anderson, nicknamed Derson, who used to live on the streets and even slept on the branches of a tree in the city to get away from danger before coming to live on the farm. At the reunion, he spent the whole day in tears. He said that coming back to the farm reminded him how this beautiful place had turned his life around. He is now a supervisor at his job, leads worship in his church, is living in Belo Horizonte with his wife, and has a daughter. Another boy, Fernando, is working for the local government, and another boy is now lawyer. Our success rate for reintegration was about 70 to 80%, with these children who being successfully reintegrated back into their families and into the society. A lot of encouraging stories, which is good because it is a tough work. How do you see yourself in 10 years? Would you pursue your work for child protection? I would really like to see child protection on the top of the agenda of governments and sporting governing bodies like the IOC and FIFA, and I think we are on the way for this to happen. Furthermore, I would like to see the global enactment and implementation of extraterritorial legislation to protect children from exploitation no matter where they live. The It’s a Penalty Campaign will have a truly global impact – although we started in South America, our reach has extended to children across the world. . I believe It’s a Penalty is a global movement.We have a 3-5 year strategy in which we plan to run campaigns around PyeongChang 2018, Gold Coast 2018, Tokyo 2020, Beijing 2022, Durban 2022 and Qatar 2022. We aim to help end child exploitation by the year 2030, in line with the UN Sustainable Development Goals Target 16.2. I am now done with the questions. Is there something you wish to add? Indeed, I’d like to add that we are looking for partners to help us achieve our 3-5 year strategy plan, and organizations to collaborate with. If any of WIL members wish to come on board, whether it is for advocacy, whether is to partner with us for the next It’s a Penalty Campaign, feel free to contact me! 1. In 2012, You co-wrote a book entitled « Myter om magten », which could be translated as “Myths about power”. What is the title/book referring to precisely? Could you please explain in a few words what the book is about? The title is referring to the many myths that exists about why we don’t have more women on top leadership positions. For example, “they don’t want leadership positions”, “they don’t have the courage”, “they are not skilled or able to hold such positions” etc. In the book we analyzed these myths and found out that none of them are true. But first let me give you a bit of background. Along with the other co-authors of “Myter om magten”, we found out, that Denmark was one of the European countries with the fewest women in top leadership positions! This surprised us, because Denmark is historically one of the leading country in Europe in gender equality and we have one of the highest percentages of working women in the world. Women also represent 65% of all students in Danish Universities! So where do they end up if not in leadership roles? In Denmark, higher education is free, which means that most of the money invested in these future talents is “wasted”. And we waste crucial talents who does not leverage their full potential to their own benefit but also to the benefit of the society. Having such a low number of women in leadership positions, when the talent pool is so big, is a sad waste for the economic world and also for the society as a whole. First, it is when they are pregnant and start having a family. Many high potential women who takes maternity leave never come back to work, or at least not to the leadership career track. They choose to spend more time with their family rather than pursuing a demanding professional career. The second pick is right before accessing top management positions. A large percentage of women actually do come back to work after having children and keep climbing up the company’s ladder, but then they back down exactly when they’re about to reach top management positions. Why? Why is exactly what we tried to figure out in the next part of the book. What we found out is that the “drop out” has only little to do with the “traditional myths” about why women don’t hold management positions. Its not because they don’t want, don’t dare or don’t have the capability. Instead, it has something to do with our leadership culture and the lack of role models. that their behavior and female values are not welcome. It makes them uncomfortable to be forced to “play a role” and adapt and in the end they don’t feel its worth it. Have you listed in your book solutions to address this issue? The first step is for the men in the leadership teams to be aware of this issue and have a more inclusive behavior and culture. Mentoring is also very important: we need more role models, both male and female, to share their knowledge and advices, and to provide guidance through the difficult career path. In addition, I think managers need to give voice to women’s concerns, and understand that these concerns are different from men’s ones. Men and women communicate differently, and it is sometimes difficult for male managers to address correctly women’s concerns. To provide you with an example, when a man gets a job offer, he will take it without hesitation and will even tend to oversell himself while a woman, even if she’s interested by the offer, will first focus on work and life balance and how she’ll be able to arrange her personal and professional responsibilities. As a result, the manager will tend to think that she is less eager to get the job and the male candidate will be preferred, even if the woman would have been better. Instead he should talk to her about her personal challenges and convince her that there are solutions and help her by giving her the flexibility needed to fulfill the job. 2. The book is exploring women’s paths to top management positions in Denmark. From your personal perspective and book outcome, what are the key leadership skills necessary to succeed in these positions? Women should be more aware of how their concerns is received/perceived by their managers. They should understand that what they express could be misinterpreted as reluctance. Both women and men should learn more about women’s communication. Also, I think we need more female role models to provide examples of success to which other women can rely on. It is important to show that you don’t need to be a superwoman to be a leader. You can have a life aside from your work, you can have a family, you can have friends! Few years ago, I gave a long interview in a magazine, where I dispelled the myth that you have to be a superwoman to be successful. You cannot be a super partner, a super friend, a super mother and a super professional. But you can be a successful leader and still be a good mother, friend and partner. You don’t have to work 20 hours a day and travel 200 days a year, you can be effective and successful with less. But men love to paint the picture of themselves being hard working and sacrificing everything for their career – but this picture does not appeal to women, - and I also think it does not appeal to the younger more modern man either. 3. Over the past 10 years, you have held several leadership positions at Microsoft. Could you please tell us more about your personal experience as a woman in C-level positions? First, I was incredibly lucky to have a great mentor, who really believed in me, who had a strong experience in leadership, and who supported me. When I arrived at Microsoft, I had no experience in leadership, yet, but she really trusted my leadership skills and pushed me out of my comfort zone. Second, I also think I have been lucky to work for Microsoft, because this company is more focused on employees results than on their time spent at work. You’re responsible for your work, and as long as the job is done, nobody will check the number of hours you spent in front of your computer screen. I need this flexibility in my work, and to have control over my life, and my work. Third, I know I am not a superwoman, therefore, I am not afraid of “outsourcing” household chores. For instance, I have one au pair for my children. I learned how to share tasks. 4. What is Microsoft’s commitment to gender equality? Microsoft is indeed committed to gender equality and has developed a set of principles for women’s empowerment within the company in regards to discriminations at work, equal pay between women and men, and gender equality on boards. One of these principles is to get at least 30% of women amongst our employees and in our management teams as well. 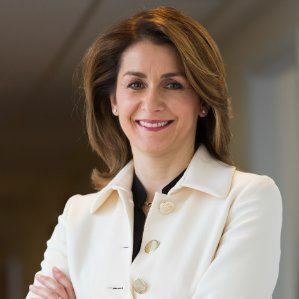 Our VP in Western Europe, Eric Boustouller, has over the past 2-3 years been hiring many women to lead our subsidiaries, almost half of the general managers of Microsoft subsidiaries in Western Europe are now women! The company is also working on education programs to inspire young girls to pursue studies in the tech sector. Microsoft created the DigiGirlz program, which gives worldwide high school girls a chance to experience firsthand what it is like to develop cutting-edge technology and grow their careers in this field. This year was launched #Makewhatsnext, a program that helps empower the next generation of women with the knowledge, skills and resources needed to become creators in a world where technology is embedded into every aspect of life. 5. Do you think we can talk about a “Nordic model” in management? If so, what would be the key features of this management model? You have been working as an HR professional for 20 years. Looking back on your experience, could you please describe the evolution of the HR function in this fast shifting ICT sector that occurred over the last decade? As traditional business models are now disrupted by a generational shift and Digital transformation, what are the main challenges faced by an HR Director at Lenovo nowadays, which may not have existed ten years ago? A huge shift occurred in the recent years from the HR perspective: We moved from a typical service provider function, where the HR basic role was to make sure the contract was legally compliant and Payroll runs smoothly, to a more business oriented and consulting function. Nowadays HR leaders seat with Marketing, and Finance leaders around the table to discuss business issues. We are part of a leadership team, which means that HR needs to better understand the business, to consult the other leaders. We also need to adopt an outside-in perspective regarding our customers and to get a better understanding of their needs. So I would say the HR function is much more involved in the business than the previous years. But overall it is the whole IT Sector that is changing very fast: there are much more flexibility, speed and dynamism requested nowadays. Would you say the new generation of talents have more expectations in the workplace than the previous generation? I wouldn’t say the new generation have more expectations, I would say they have different ones. People who graduated from university are more interested in development opportunities, assignment opportunities, in working in different countries, they want more flexibility, remote management… they are not so much focused on security, they don`t feel that they will retire from the same company. Of course expectations from the young generation are different from 10/20 years ago and it raises new challenges for companies to be able to retain talents. Especially in Lenovo which is growing very fast, the requirement for HR department is to keep the pace, to stay flexible, to fulfill the need of the business. The strategy is changing and we really need to stay connected to our employees and costumers’ needs. Diversity and integration are also keys here: Lenovo have conducted many merge and acquisition projects during the recent years, and probably more are coming in the next years. From the HR perspective it is a challenge as well as an asset to work with different work cultures: For example, the culture is different if you work for IBM, Motorola or Lenovo so we have to do a lot of integration to turn this diversity into an asset. Regarding work culture environment, you were a team manager in several European regions: First as an HR Director for Germany, Austria and Switzerland, then for the Western European countries, and currently you are in charge of the EMEA East Region. What would you say are the main challenges of managing cross- culturally? How did you adapt your leadership style to the different business cultures? From the leadership style, I did not really changed a lot. You just need to listen more and to be open to the feedback you’re getting from your peers and team members. Communication is key. Now that we have the help of technical supports such as Skype and online messengers, you are able to keep close contact with your team whereever you are, i.e. in my home country Germany or travelling through my region and that is really important. Especially in our East Region (understood as Eastern Europe, Russia, Turkey, CIS Countries) which is a huge territory, you’re facing cultural differences: they have many different languages, currencies, bank holidays, different ways of doing business, different hierarchy perceptions, economical and political crises or significant currency devaluations from one day to another than in Western Europe. But despite the various economic crisis that occurred in this area, Lenovo is very successful there because we managed to be very responsive to the local needs, thanks to the local teams implemented in the region and our market share is significant. For me personally, it is a very enriching experience to work for a different environment from where I am coming from. I am a typical German, always on time, always responsive, so I am used to that behavior, while in Eastern Europe the work behavior is a little different. But it is a successful region, and it is a great enrichment for me to work with those people. 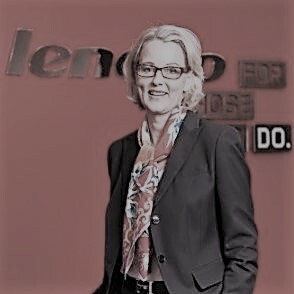 Lenovo has launched "Women in Lenovo Leadership" (WILL) program in 2007, which supports women’s growth and drives gender diversity projects for Lenovo. Could you tell us more about this initiative and its goals? Why do you think gender balance and diversity are key factors of performance for big companies like Lenovo? Gender balance is a relevant topic for Lenovo, because we are operating in a very competitive environment where we are constantly fighting to attract and retain the best talents, no matter if they are men or women. This initiative was launched in 2007 and we are all very committed to it: we make sure we are looking for the best opportunities of networking, mentoring and coaching for the talents at all levels of the company, especially on Women. Today we have around 36% of women in Lenovo in the whole workforce, which is ok for an IT company but still not enough. We always can do better. Overall in companies’ boards, the higher we get in top leadership position, the lower is the percentage of women, and this gap between men and women still needs to be balanced. Lenovo is trying to do more on gender diversity by launching this WILL worldwide initiative, and we do our best to partner with other initiatives, such as the Women’s Forum in Deauville and in Dubai, the Cercle Inter’Elles with Catherine Ladousse (WIL Board member ndrl). We plan various activities on Women’s Day to address key priorities that would support women’s growth and close the gap between women and men in Lenovo and we are looking especially on development opportunities for our female key talents. What advice would you give to women in the early stages of their career? Maybe this is an answer that not everybody wants to hear, but I think that if women want to progress in their careers, they just need to work hard. Very hard. Sometimes even harder than men and it is not always easy, especially if you also have to take care of your family. We talk so much about work-life balance and integration, but sometimes it is just really a matter of accepting to get into discomfort. That is not easy and you will fail but you have to move forward and take failure as a learning opportunity. Don’t get demotivated, next time you’ll do better and it’ll make you stronger. My advice would be: find a good mentor, no matter if it is a man or a woman, who really listens to the issues and obstacles your facing in your career, and who would help you and give you advice to overcome those obstacles. Do you think women are holding back by the fear of failing in their career? Exactly. Men fail, but they get back on their feet and keep moving on. They don’t overthink about it too long, while women tend to criticize themselves too much. Of course self-reflection is important to perform better, but do not look back and focus on the future. It is normal to fail, to be uncomfortable sometimes, but next time you’ll do better. Every great leader faced failure in his career, but he or she grew even stronger by learning the lessons and moving forward! 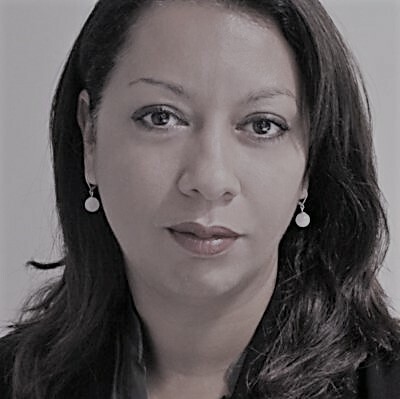 Wassila Zitoune-Dumontet is currently VP Roaming from Orange Group. With over 21 years of experience in the Telecommunication industry and an international background in leadership and executive positions in the Middle East, Africa and France she shares in a 5 minutes with ... interview her experience in managing a large organization, within the framework of a multi-cultural environment while witnessing the strategic transformations of the Telecommunication sector. WIL Europe (WIL): You have held leadership and executive roles within Orange across the world, in regions such as the Middle East, Africa and France. Do you feel that female leaders are perceived differently in these respective regions, and how did you adjust your leadership style to the different business cultures? Wassila Zitoune-Dumontet (WZ) : First of all, an international experience is a great opportunity to open your mind, to learn and to grow. From my perspective there are two very important aspects that need to be taken into consideration: a very personal one that implies to make sure your family is willing to take the ride with you and a professional one: being ready to go out of your comfort zone and in a way to “reboot yourself”. Believe me, this is not an easy process at all. Adapting my soft skills: investing time in understanding my stakeholders (peers, teams, market, regulator, authorities …). It is a challenging process that requires a lot of listening, observation, analysis efforts and patience before making the first judgement or decision. I realized afterwards, how much this helped in building my credibility and legitimacy. Communication skills were also a part of the needed adaption to the business culture: learning how and when to be sharp or soft, how and when to compromise or not, how to disagree without saying “no” in a sensitive situation, and so on. The second challenge was related to adapting my management style through intensive one to one practices to make sure everything and everyone was aligned and that all subtleties were capture. I needed to invest also in regular communication to all my management layers, sharing the vision, the ambition, the achievements and challenges. This also helped me to detect talents, with specific attention to female talents (very often too humble and lacking self-confidence), giving them the opportunity to shine, dare, and succeed. Lastly, it is worth mentioning that the executive committees I was part of, had between 15 and 20% of female executives. Figures talk for themselves! Thus, personally, I did not feel that there was a “perception issue” during my years abroad as a female executive. Yet, things were very different below the C level layer, and this became a subject to be addressed for me. WIL : With over 21 years of experience in the Telecommunication industry, what do you appreciate the most about this sector? What would you say has been the most distributive innovation in the sector so far, and what do you see in the future for telecom companies such as Orange? WZ : I believe a lot of my peers would say the same about how amazingly dynamic the Telecommunication Industry is, and how it is constantly innovating. It is a fact that Telecommunication is an important part of our daily lives, be it at home or in the office, and I do enjoy taking part in making this easier, closer, faster, and simpler for our customers. This hyper connected eco system brings connectivity and networks performance on the top priority for Telcos and Orange has clearly set its ambition in our recently presented strategic plan “Essential2020” committing on delivering an unmatchable customer experience, relying on 5 strategic pillars: connectivity, a reinvented customer relation, diversification through IOTs and Mobile Banking, being a digital and human company, and the Digital partner supporting the B2B market transformation. WIL : As the current Vice President of Roaming for Orange Group, how do you expect the new EU Digital Single Market Strategy announced by the European Commission in May 2015 to affect the roaming market? How will companies such as Orange adapt? WZ : Roaming regulation is not a new topic for the Roaming industry. For sure, the new regulation will affect both the retail and wholesale market at the same time. There are some technical implementation challenges ahead that we are currently focusing on, and some potential borders’ effect to be properly mitigated. One important driver for Orange’s strategy has always been making sure customers have access to affordable roaming bundles in a simple and transparent way to enjoy the best roaming experience. We have been focusing, in Orange, on developing the roaming adoption by our Orange travelers over the past year in Europe, and we are happy to see the positive trends since three years for both active roamers and usage. It is worth mentioning Orange is in the top 3 leaders on 4G Roaming in Europe. 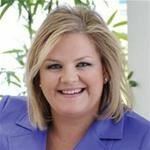 WIL : Throughout your career you have developed your leadership style and innovative mind-set through various positions in Marketing, Sales, project management and digital technology. What would you say were the main challenges you faced during your career, and how did you overcome them? WZ : Prioritizing! That is one of my main challenges. My different experiences taught me that part of a leader’s role is to select the top priorities that will make the difference instead of trying to do everything. The 80/20 rule is key for either think / build or run functions and I do pay attention to stick to it. Managing emotional sensitivity has also been of value for me, especially when leading large organizations and transformation projects. There are some difficult situations that require keeping the right distance. I have to say, this is another great thing about Orange, being a place where you can have access to such a diversity of roles and challenges. I entered Orange as a trainee, and I am still amazed it’s been 21 years now! WIL : Despite your busy career you are actively involved in corporate social responsibility projects mainly in education, rural development and gender equality, why are these areas so important to you and why do you feel it is so important to engage in activities that reach beyond your ‘typical job description’ ? WZ : I always considered it is part of the job because Orange has historically been active in corporate social responsibility in many different areas such as fostering access to knowledge, education, health etc. Knowing how much telecommunication is vital to bridging gaps between communities and societies, and it became quite natural for me to work in these areas. One amazing memory for me was when I was leading the “Broadband Fund Program” of Orange Jordan. The goal was to equip rural schools with internet Labs. This project had a huge impact on families’ trust in Orange as a responsible brand and company, to overcome the safety concern for girls to access the internet. After every opening ceremony, I felt that I was a responsible telecommunication professional and that Orange has done something meaningful. To conclude, when it comes to female executives, I think we are on the right path but let’s not forget that it has to be done in a sustainable way, and there is still a lot that needs to be done. Mentoring programs for female talents, sharing ideas and experiences, and being inspired by others is worth investing time on, but so too is giving back. Maria Pernas is currently the Vice-President Group Deputy General Counsel at ATOS and is in charge of the Atos diversity program. She works for the Legal and Compliance Department and has worldwide responsibilities that encompass the legal support to customers' deals (contracting activities), the bidding and delivery phases, the support to the Global Service Lines, the Atos Group Contract Management activities and the Legal budget planning and monitoring. She is a member of the WIL Board of Directors, and similarly has served on several other Boards. Despite her busy schedule, WIL was lucky to catch up with Maria Pernas for a '5 minutes with' where we discussed her experience working with the diversity program and the Legal and Compliance Department with worldwide responsibilities at ATOS - take a look at the interview below for great insights from one of our insprirational WIL members- Maria Pernas! WIL Europe (WIL): In addition to your role as Senior Vice President, Deputy Group General Counsel, you are in charge of the implementation of the Atos Diversity program. What is the diversity program’s primary mission and goal? Maria Pernas (MP): The Diversity Program is one of the initiatives being implemented under the “Atos Group Well Being @ Work Program”, that is, the Program launched in 2012 that underpins the Atos transformation to be recognized as one of the best companies to work for. In Atos we think that Diversity (all kinds of diversity) has become a critical element of operational performance and our primary goal is to leverage Diversity in its social and business dimensions. What impact do you project the program to have on Atos’s leadership in regards to women employees? Gender diversity is one of the pillars of our Diversity Program. A substantial number of new opportunities for women are being identified in our Group. Despite the fact that Information Technology has been traditionally been perceived as a male industry (with lower presence of women in technical careers), Atos employs 28% of females globally and almost 30% of our new joiners below 25 years old are women. Atos wants to continue increasing these ratios as well as the female presence in Top Management positions. As of December 31st, 2014 the Board of Directors was composed of 36% of women. What would you like to accomplish in the near future? We want to continue further developing all the axes of our Program and contribute to our Group’s growth with more success stories in gender, disability…. And we are going in the right direction. For instance, in the Disability domain, the Accessibility & Digital Inclusion team in the UK has made huge progresses on the Disability domain and significant achievements on enhancing Inclusive User Experience for both ATOS staff and customers. ATOS UK is a Gold Member of the BDF (Business Disability Forum) and contributes to their Technology Taskforce. WIL: With almost 100 000 professionals working in around 75 countries, Atos has created one of the most multicultural, multidisciplinary, diverse and responsive work environments in the world. What advice would you give to our emerging leaders about managing cross-culturally? MP: In todays’ world, in order to manage teams cross-culturally, we first need to be able to establish “networks” that allow enhanced collaboration. In Atos we reached our objective by using BlueKiwi, our professional Enterprise Social Network. We also need to put in place a truly global environment where teams work in an integrated manner irrespective of their respective locations. Flexibility is also important. Expectations of the Milleniums, globalization are all factors that need a new approach in working methods. In Atos we have set up a Smart Campus and already 35 000 employees have adhered to the Atos Remote Working Plan. Finally time is of the essence. If we want to identify and retain the best we need to be agile in the way we manage our teams. WIL: As you know, the EU Digital Single Market (DSM) Policy was unveiled on May 6th 2015. In your opinion, what impact does the policy have on Atos, and what changes and opportunities will the new DSM policy create? MP: The Digital Single Market (DSM) Strategy for Europe is a key initiative. President Juncker said that we lay the groundwork for Europe’s digital future. As you know, the Strategy is structured under three main pillars: (i) better access for consumers and businesses to digital goods and services across Europe, (ii) conditions for digital networks and services to flourish and (iii) maximising the growth potential of the European Digital Economy. I think that all the initiatives are important but the third one brings huge opportunities with the proposal around the European free flow of data initiave and the European Cloud. WIL: Atos is a “business-technologist”, could you explain what that means? Business-technology is constantly evolving, so what is your company’s approach to innovation? MP: Yes, of course. In Atos we say that we are Business Technologists because Atos professionals are as passionate about business as they are about technology. We say that “we bring together people, business and technology in order to power progress”. Innovation is one of Atos “Shared Values” and it is at the core of our business strategy. We welcome a creative environment with inventive solutions. The Business Technology & Innovation Center (BTIC), the Scientific Community and our Research & Innovation group are clear evidences. WIL: You’ve been working for Atos for quite some time, could tell us about your company’s evolution over the last two decades. WIL: What do you like the most about Atos and more specifically about your current roles? MP: Atos Origin was formed in 2000 when Atos and Origin merged. In 2002, KPMG Consulting’s businesses in the United Kingdom and the Netherlands were acquired to establish Atos Consulting. In 2004 the Sema Group was acquired from Schlumberger and the acquisition of SIS in 2011 and, more recently, the acquisition of Bull and Xerox ITO is a continuation of the Atos strategy. I have been working for Atos for a number of years now and I did so because Atos has given me the opportunity to work on very interesting projects, growth and hold many different positions within the Group. What I lilke most about more current role is the truly global environment, the importance given to innovation and the proximity to the business. 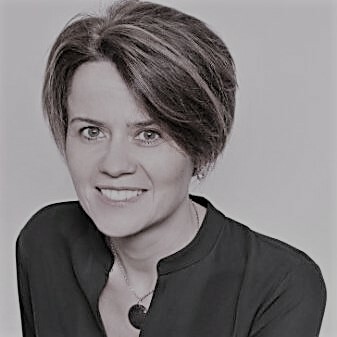 Céline Brémaud is the Vice President of Microsoft’s Small and Midmarket Solutions and Partners (SMS&P) organization in the Europe, Middle East and Africa (EMEA) regions. Working across Microsoft's business groups, SMS&P drives sales and marketing efforts and provides comprehensive IT solutions for small to medium-sized businesses and corporate accounts (including some public sector customers). WIL was lucky to catch up with Ms. Brémaud for a '5 minutes with' where we discussed her experience working abroad and her insights on ICT SMES and women the ICT Sector- take a look at the interview below! WIL Europe (WIL): Originally from France, your time within Microsoft has led you to have a very international career, living in Dubai for some years. What would say are some of the challenges to working internationally? What benefits does international experience bring to a career? Celine Bremaud (CB): Working internationally is of great benefit. It is a wonderful opportunity to open your mind, to work with very diverse people whom you can learn a great deal from, to adapt to new cultures, adjust work and communication styles, and to build up new competencies relating to collaboration, flexibility and impact. The way you impact internationally is very different and the paths to be impactful are full of learning, adjustment and self-reflection. The challenge of working as an international first sit on the personal side. Landing in a new country with the family (or without a family) can cause stress and frictions. It takes time to get used to it, to build new life standards and to create a new social network. it does not happen overnight. When moving with a family, every member of the family may have landed with very different personal expectations! It is therefore important to try and be as transparent as possible with everyone’s expectations, to create an open dialog and to give it some time to work out. Some realignment on the joint expected benefits of this new experience abroad is often needed. This is not far from the challenges on the business side. You need to accept that you have a lot to learn and be in a listening and observation mode again full time, at least to start with… it takes time for your judgment, actions and decisions to be relevant in such a new environment! Working internationally is a big experience of humility. Most probably you went internationally with a good level of self-confidence that helped you make this difficult decision. That self-confidence can also be a good self-protection system at a time you’re out of your comfort zone! But this needs to be managed carefully: working internationally is all about accepting to reboot yourself! WIL: Within your current role as Vice President of Small and mid-market Solutions, and Partner group (SMS&P) for Europe, the Middle East and Africa (EMEA), you are responsible for driving a 10 billion dollars business. For those reading, who are the customers you and your team are dealing with? What is their role within the large Microsoft ecosystem? CB: My group, SMS&P, is addressing the IT needs of the millions of companies, small, medium or large, operating in EMEA, with the exception of the very large enterprises, listed or assimilated, the central governments and the very large state-owned enterprises, and the largest multinational companies. The small to mid and large size customers have very different IT needs and they are their very own ecosystem. Hundreds of thousands of partners are reselling, deploying, customizing, creating IP and supporting our customers to consume the IT solutions they need and ask for. Most of these companies are growing fast, and in the context of accelerated globalization, all of them need to react even faster to any market opportunity, or threat to survive, compete effectively and/or accelerate their growth even further. Accordingly, their IT needs are evolving big time. They want more flexibility, more agility, less Capex, more compatibility, more security (a no compromise commitment of Microsoft)… We are working hand in hand with our partner ecosystem to bring them all, expanding offers and shifting business models. With regards to the Cloud, those customers are the ones moving to the Cloud the fastest because they understand all of its benefits, which are huge for them. They are demanding and are using the latest technologies with avidity, like digital marketing or social networking. They are a fundamental pillar of our own ecosystem and they force us and our Partners to operate with increased speed and agility. WIL: What do you see as some of the main challenges currently facing Microsoft’s SME partners operating in the EMEA region? CB: Our partner ecosystem is transforming, as we are transforming and as the IT world is too. Our partners are moving fast, embracing the Cloud, shifting business models and offering our customers a greater and greater variety of solutions to fit their needs. The challenge is always the speed of innovation. At Microsoft, we see our future with our Partners, as they play a critical role for us and for our customers in our Mobile first, Cloud first world. But we know that transforming, innovating and bringing the innovations to market takes time and we don’t have time. Customer demands are already high, and there are many competitors in market, so the biggest challenge today is the speed of innovation, the speed of transformation. The consumption economics do not necessarily make it easy, for our legacy partner ecosystem like for the “born in the cloud” ones. We will certainly see new kinds of partners emerge, new partnership and further merges and acquisitions happen in the ecosystem; we will certainly see the ecosystem continuously shifting towards new value paradigms, and new skills to emerge to remain relevant and add critical value. WIL: In your opinion, where do you see technology leading us in the future and where are companies like Microsoft focusing? CB: The future of technology should be more intuitive, more native, more secure, more interactive, simpler and seamless to use. The user experience and the content should come first, not the device or appliance delivering it, which should offer more and more choices though. The way to consume the information and to collaborate should be broader and broader. Microsoft is focusing on delivering this leading experience. The recent Windows 10 announcement reflects it, as its correlated first holographic computing platform. Everything should come together in a way that enhances user productivity, fun and experience over all! I think this is ultimately what we are expecting the future of IT brings to everyone, me included. WIL: How would you describe the dynamics of women’s presence in the area of ICT SMEs and large Corporations? CB: I undoubtedly see women’s presence in the ICT industry evolving the right way, but, it is still obviously a men’s world. A lot of Microsoft subsidiaries across the world have invested in bringing more women into IT in Education, and at Microsoft we are also making good steps towards more diversity and inclusion which is a critical pillar of our culture. But the opportunity ahead of us in IT is massive in the matter. I see a great opportunity for women to increase their presence in IT with the move to the Cloud and with the way IT will get more and more consumed. The need for more targeted marketing skills, for new digital competencies, for more engagement with business decision makers, the need for new apps and devices targeting the users in an always more direct way, the natural consumer orientation of the Internet of things should all help make more space for more diversity and new kinds of talents in the industry and in corporations. Women in IT should even be one of the key paths to success for every IT company that wants to transform and any corporation that wants to benefit from this transformation too. 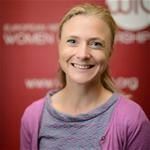 WIL Europe: Laurence, you are an academic and author with a highly successful career, having received various awards for teaching, research and management counselling. What has driven you to achieve such an impressive career? Laurence Capron (LC): I did not plan my career; I guess it has been a journey, shaped by influential scholars or teachers I met. Conducting academic research and publishing scientific papers can be a lonely journey and demands a lot of discipline. In order not to let challenges in the academic environment discourage you, I believe it is crucial to follow one’s intellectual motivation and curiosity. WIL: What would be your piece of advice for women with the goal of pursuing an academic career? What obstacles did you face while building your career and what did you do to overcome them? LC: In the academic world success does not come overnight and young researchers need to be prepared for a long career path. Therefore, I suggest equipping oneself with two basic assets: emotional resilience and sources of honest feedback. It takes years of dedication and determination to learn how to teach effectively, how to captivate the audience and convey your message. To persevere despite arduousness and painful experiences, it is crucial to have emotional resilience and develop teaching skills through trial and error. At the same time, only constructive and honest feedback will allow you to progressively refine your work. In the end, even though the road can be hard, it is very rewarding to eventually get recognition for your ideas. WIL: How do you perceive the academic work environment? LC: The academic environment is very competitive because it is a globalizedmarket. Quality and quantity of one’s scientific output is assessed in worldwide comparison, making it indispensable to constantly generate new ideas in order to stay relevant. This international competition also exerts pressure on educational and scientific organisations. For instance, every academic institute is subject to the appraisement of international rankings, which strongly influences the esteem and attention they receive from their stakeholders, including students, recruiters and sponsors. However, within most academic organisations, there is a supporting and nurturing atmosphere. For instance, at INSEAD we share materials and best practices among colleagues and revise papers together to improve everyone’s work mutually. It helps fostering success and raising productivity. WIL: You are Professor of Strategy and Executive Education Programme Director, M&As and Corporate Strategy. Can you give us an insight into your lectures, what key message do you transfer to your students? LC: Many participants come to my course because they want a recipe for successful acquisitions. In many organisations M&As have become a substitute for a growth strategy. This erroneous confidence in M&As often leads to mismanagement. The main message I try to convey my students is that acquisitions should be a tool and not a growth strategy in itself. I advise them to always take the bird’s eye view and evaluate if an acquisition makes sense in the first place. Only then I focus on the correct execution of M&As in terms of Synergy, Due Diligence, Pricing, Evaluation, Post Merger Integration, etc. WIL: What does teaching represent for you? LC: When I started my career, I perceived teaching as the necessary evil besides my research. But my view changed rapidly once I realised that presenting the results of my studies in class was the best way to spread my findings all over the world. I thus developed a teaching program (M&A, alliances and corporate development), which is in full synergy with my research activities. Now I perceive teaching as a fundamental and truly rewarding component of my work: not only does it allow me to disseminate my findings, but also exposes me to practitioners’ experiences and this way constitutes an instance of mutual sharing and discussion of know-how. WIL: You recently co-authored the book “Build, Borrow or Buy: Solving the Growth Dilemma” (Harvard Business Review Press, 2012). What is the growth dilemma and what are the main conclusions you draw to address this problem? LC: The book provides a simple framework to encourage a more in-depth examination of growth strategies and their combination. A lot of companies opt for one specific mode of growth: either they attempt to induce growth through M&As or focus dominantly on internal innovation. Such companies often stop questioning their growth policies and get trapped inside a loop of repetition. Over time, their unscrutinised and one-sided strategies usually crumble or fail. In “Build, Borrow or Buy: Solving the Growth Dilemma” we give advice on how to pursue a beneficial value generation route and balance the different growth modes. For instance, companies who want to grow internally often concentrate on extensive acquisitions instead of considering intermediate modes like Alliances, Licencing or Minority Stakes. We encourage enterprises to mediate multiple and alternative ways of growing in order to ensure steady value accretion. WIL: Your current research focuses on Mergers and Acquisitions. What are the main advantages/drawbacks of M&As for a company’s growth? LC: The key risks of acquisitions occur during the post-merger integration. Other hurdles arise due to the Pricing, the Management Assessment and the Due Diligence. Companies often make acquisitions to tab new sources of capacities and knowledge. The challenge hereby is to avoid a post-acquisition trauma undoing the beneficial effects of the acquisition and integrating the human capital in the most optimized way. In many cases it would be easier and much less risky to choose alternative ways of human capital accumulation through Licencing, Joint Venture or Minority Stake. WIL: Last year WIL was focusing a lot on company value and growth and you spoke at the WIL Bi-annual meeting in London, December 2013 on the panel “How to determine a company’s true value”. As an expert for enterprise growth, how do you perceive the value potential of intangibles for a business? And how could companies integrate CSR into their growth strategy? LC: Intangibles are a highly important, but also the most challenging part in acquisitions. When buying a firm for its intangibles, an estimation of the brand value is necessary. However, measuring intangibles and foreseeing its future development holds high uncertainty. This is also due to the difficulties with post-merger integration, the second big risk with intangibles. What I usually recommend enterprises in the face of a risky intangible purchase, is a sequential engagement: leaving the target independent at first, pursuing a step-by-step integration which allows more monitoring. When trying to get into an unfamiliar market abroad, a company can ally with local businesses, venture capital or minority stakes, or open a window of observation before gradually upgrading the engagement within the target ecosystem. WIL Member Serena La Torre has over 20 years experience working in the financial sector and began her work at the UniCredit Group in 2008. She presently heads the Rome Central Area of UniCredit SpA which is comprised of i) a corporate division ii) a retail division iii) a business development unit. WIL was thrilled to have the opportunity to discuss with Ms. La Torre her career in finance, the challenges to the sector during the crisis, women in finance and much more! WIL Europe (WIL): You have 20 years of experience in Finance, more specifically Real Estate Finance, Shipping Finance and Acquisition Finance. What was your motivation to become an expert in these fields? What do you like most in your job? Serena La Torre (ST): To opt for the major Finance at University has been pivotal and groundbreaking for my professional life. I am very lucky to have made this choice, which allowed me to acquire skills and prepare well for structured finance positions. The decision to further concentrate on Shipping and Real Estate Finance, was due to my passion for complexity in general and more specifically complex structured transactions. In my current position, I manage Rome Central Area of UniCredit Group (comprised of corporate and retail divisions) and keep multiple items under control at the same time, which requires high legal and financial background and a deep knowledge on cash-flow mechanisms. I really enjoy having a busy day and keeping my brain function active. WIL: Has the financial crisis starting in 2008 had an impact on your work or professional routines? WIL: According to your expert opinion, which European initiatives aiming at the stabilisation of the financial sector prove to be most efficient and meaningful? ST: I think that it is very important to focus on interest rate politics, to ensure a flat level of interest rate. This helps to stimulate investment, boost the economy and grow out the crisis. On the other side, I also want to underline the usefulness of European state grants. Focusing on specific areas, particular market niches or regional markets, it determined the betterment of many states’ financial situation. Usually state grants are a very good driver for the local economy. WIL: In what way do financial institutes, like the UniCredit Group, contribute to stabilisation and growth in Europe and more specifically Italy? ST: UniCredit took several actions to ensure stability in Europe and Italy. In fact UniCredit Group has signed a loan agreement with the European Investment Bank (EIB) in support of Italian businesses. The project launched March 2014 provides a total of €700 million to be lent at competitive price to businesses in the Italian economy. Other credit lines are aimed at boosting the agricultural industry, €300 million are administered to reconstitute the tourist industry and we recently launched a 400 million bond issuance secured by Italian guarantor fund aimed at supporting SME working capital. The credit lines are usually also supported through state guarantees. WIL: How do you perceive promotion prospects for women in your sector? Is there a level playing field between the sexes? ST: I believe that prospects for women in the financial sector are not yet as good as one would wish. It is a very competitive field of work and it is challenging and hard to assert oneself, specifically for women, because they are often dismissed and underestimated. But this is evolving: strong attention is currently paid to women and their managerial skills. Special projects and corporate policies are put in place to balance gender diversity. In UniCredit Group the Senior Management is entrusted with a gender diversity mandate and there is a pipeline for the women in our company, which holds overall 120 women. However, I think that I am lucky to work in an international company, because the diversity of culture is different compared to many Italian companies. In Italy cultural stereotypes between the sexes remain. There are various organisations and campaigns in Italy working to reform deadlocked views on gender roles, but it will probably take long time and big effort to overcome. WIL: UniCredit operates in various countries across Europe and Central Asia and has acquired several international financial institutes: What impact does it have on the divisions you lead? ST: Currently I lead also a corporate division which is comprised of many Italian companies that want to internationalise or are already working internationally. In this division I largely benefit from the international network of UniCredit. If I am supporting clients who want to expand abroad or find corporate solutions in e.g. Turkey, the Eastern Europe, or Russia, I can refer them to the local country chief of UniCredit, who has all the specific expertise and experience in the area. This way, I don’t even have to travel a lot, but can simply profit from the knowledge of our teams abroad. It is a great opportunity to have an international team, because we have a wide range of partners that we can provide our clients with funding and it helps to increase creativity and new ideas. The challenge is to get acquainted with the flow-chart of our group, but once you have deeper knowledge of it, you can benefit from all the services and products it provides. WIL: What piece of advice would you give to women undertaking a career in finance, and seeking leadership positions? ST: As a woman in the financial sector, it can be hard to prove oneself. Sometimes clients do not recognise you as the leader because you are a woman and it is complicated to gain their full respect and be the authority. In my opinion, a woman in the financial sector needs to make a bigger effort to conquer the customers trust. My advice to women, is to be strong, dignified and very balanced, since women get evaluated a lot more in regards to their attitude and humour than men. WIL Europe: Where did your motivation stem from to build your business in senior care? Do you believe that business has any sort of obligation to make the world a better place? Catalina Hoffmann (CH): To work with the elderly is my passion. I started my business with the goal to improve the elderly’s quality of life, and I also want to demonstrate to society that improving the quality of senior citizen’s life is very much possible. I think it is crucial, that in some way every business has a minimal obligation to improve society or the world. WIL: The Hoffmann Group is composed of three companies: Vitalia, Hoffmann Elderly and Hoffmann Healthcare Innovation. How do these branches complement each other? CH: The core of my companies is the Hoffmann method. Basically, I am a scientist working in the health area, but the creation and success of the Hoffmann methodology gave me an incentive to start a business, to apply my method and make a difference in elderly care. I began by investigating the method and auditing my rehabilitation program. With the success of my techniques came the idea to have a share in the elderly caring system and I decided to found Vitalia day care centres. In the beginning, my business model struggled to get recognition: people in Spain were sceptic about placing relatives in day care centres and it took three years to gain recognition in the public. But once Vitalia was established, many hospitals and nursing homes began to show interest in the Hoffmann treatment methods. The overwhelming demand required a business expansion and I therefore founded Hoffmann Elderly, which allows me to implement the Hoffmann methodology all over the world (as for example Israel, Mexico and Brazil). While expanding and growing, I created Hoffmann Healthcare Innovation, to take up the new trends in e-learning and work with robots and computers to create new methods of treatment. WIL: What were the incentives and occasions to expand your business in this impressive form? What factors, besides your great entrepreneurial spirit and expertise, contributed to your success? CH: Besides the opportunity to build complimentary businesses from the Hoffmann Method, I think what lies at the base of my businesses success is the diversity of support and care needed by the elderly and their relatives. The innovation necessary to cover those needs is immense: every life transition asks for new solutions. Seeking and translating these solutions, is what boosted the expansion of my enterprise. The Hoffmann Group also benefitted from a self-magnifying effect of its success through exportation. Taking small steps, rooting and establishing my company thoroughly in Spain before looking for other markets, has been key to my expansion strategy. WIL: You mentioned that you created a specific scientific method for working with the elderly: The Hoffmann method, can you briefly elaborate the key components of this highly effective method? CH: The Hoffmann methodology is a rehabilitation program for the elderly. We work in 4 areas: physical, cognitive, neuropsychological and social. The first step consists in assessing the healthiness of the patient’s brain areas. How good is the persons’ attention, concentration, calculus? The treatment then works to stimulate and reconnect the healthy or not severely damaged areas through physical, cognitive and neuropsychological therapies. Of course this therapy cannot reverse a severe illness but it helps to slow degeneration and improves the functioning of the brain. Besides ameliorating the brain functions, psychological supervision and the allocation of appropriate facilities accompany the treatment. Furthermore, prevention and early detection are an important aspect of the Hoffmann method. All in all, the method aims at prolonging capacities and independence of the elderly as long as possible. WIL: You are also the founder of the Catalina Hoffmann Foundation. What are the foundation’s main activities? CH: The foundation’s creation was very close to my heart. The foundation enables us to help elderly who are isolated and in financial difficulty. We try to cover their basic needs in housing and facilities, and give support and companionship for hospitalized people. The aim is to allow the elderly to stay independent through little services and adjustments, as well as to provide moral support. Another pillar of the foundation consists of collaborating with universities for research to invent new technologies and treatments for seniors. WIL: According to your expertise and experience, what status is currently given to the senior citizens in European society? Are there aspects of elderly care in Europe that you feel need be addressed, or can be improved upon? How? CH: Demography and the aging process are changing in great terms in our society. The dilemma is that modern medicine keeps people alive much longer, but sometimes in very bad health conditions, which leaves us with an immense demand for care and support. Therefore, it is crucial to train people and families in elderly care. On the other hand, the talent of retired people is not leveraged and we miss out on a lot of expertise and mentoring potential. I am honoured to be the chairman of an non-profit organization called SECOT- our seniors are mentors, who volunteer their expertise to young entrepreneurs all over Spain. We also have schools where retirees/seniors give entrepreneurial advice to young entrepreneurs and graduates. It´s incredible to see how they share their knowledge, and experience. It´s really fantastic. We need to prepare society for the coming shift in demography. Why do entrepreneurs and companies lack initiative to address these issues? We are not helpless vis-à-vis those developments, but we have to act now and create new services, technologies, reinforce hospitals and insurances, to cope with the expected changes. Investment in preventative care will really pay off in the end. WIL: Catalina, you have three companies, a foundation, and you have recently published a book, Starting A Dream (Spanish: Emprender Soñando), you are regularly invited to speak on various media channels and at events to contribute your expertise on entrepreneurship, senior care, inspiration and innovation. I could go on about the other activities you pursue, but please share with us your secret to balancing it all! CH: The secret is knowing that my work fulfils a purpose in life, and fulfils me. Truly, my agenda is very busy, but what I do makes me happy. Additionally to the commitments in my company, I often participate in television programs, giving advice about issues in elderly care as well as entrepreneurship in general. I want to demonstrate that aging does not exclude a good quality of life. Also, in regards to the crisis in Europe and especially in Spain, I want to encourage people to not lose hope, to fight for their dreams, because they can come true. Like everyone else, I also struggled sometimes, but if you like what you do and follow your goals, it will fulfil you. WIL: Looking back on your remarkable career so far: What pieces of advice would you offer female entrepreneurs starting out today? CH: If you want to be an entrepreneur listen to yourself! Don’t let other people discourage or frighten you. Maybe it will be difficult, maybe you will fail, but you have to try. Don’t be scared to try and regret it 20 years later, start now. In fact, we find ourselves at a critical juncture with the global financial crisis. The market is open for new innovations, craving for new ideas! Look for help and assistance to make your dream come true. One of the most important supports as a start-up entrepreneur is a mentor, a person to talk to, who listens, understands and guides, because she has made the same experiences. 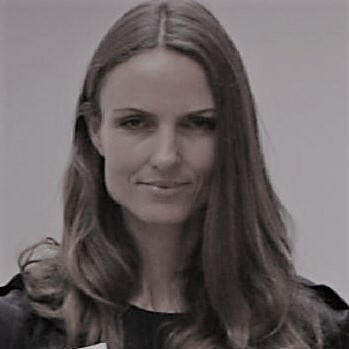 Paulina Dejmek is responsible for financial services and a member of the Cabinet of EU Commissioner Michael Barnier. 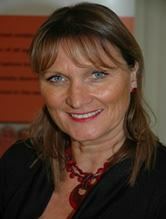 During the Swedish EU Presidency in 2009, Paulina was seconded to the Swedish Permanent Representation as financial attaché. WIL Europe: You have been working for the European Commission for almost 10 years, and prior to this you worked at the EFTA Surveillance Authority. What was your motivation to work at an international level in Europe? Paulina Dejmek-Hack (PDH): The interest in European issues is something that came quite naturally to me. Being a citizen of both Sweden and the Czech Republic, I always felt European rather than affiliated to one specific country. The fact of pursuing studies in two European countries, Sweden and Germany, built my awareness of the European identity and cause. At the beginning of my career, I was not too knowledgeable about how Europe worked in practice, but an internship at the European Commission in 2001 granted me a first insight into the work of the European institutions. This experience made me realise that I wanted to pursue my career in the European environment. At that point, I decided to stay in Brussels and participate in the written and oral tests to become an EU civil servant. I have never regretted that choice. What makes this work so rewarding is the permanent balancing of interests, trying to serve the general European public interest and the fact of working with international colleagues, all bringing different points of views. WIL: As an employee at the European Commission as well as a European citizen, what do you consider the most beneficial asset of the European Single Market? PDH: I believe that the free movement is where the European Single Market is at its very best. The free movement of capital, individuals, services and goods is a great advantage for all European citizens. Notably the free movement of people, the right to study, work and travel without having to comply with visa requirements or follow burdensome administrative procedures is a fantastic advantage of the single market. It is also something that I believe is truly unique in the international context: No other regional cooperation across the globe is even close to disposing of an internal market without borders between 28 countries. WIL: What positive impacts does the free movement have on Europe? PDH: For the citizens, it is the freedom to be able to choose to study, work, or travel wherever they want in the European Union. But also for companies the European Single Market brings interesting opportunities. Companies can sell their products cross- border, provide services in and out of a member state without much restrictions. Of course some national rules remain, for example as regards taxes and social legislation, but the general principle of free movement within the European member states is there – for the EU’s 22 million companies and approximately 500 million consumers. WIL: In your opinion, what impact does the European Single Market have on the European financial sector? PDH: It has an absolutely crucial impact on the financial sector. If we look back in history, it all started thirty years ago with the introduction of the principle of single licence and home-state control. This principle implies that a financial service operator is licensed and supervised in one EU Member State (its home Member State) and is then allowed to provide its services throughout the European Union. If we look at the grand names in the European financial sector, many of them operate in several European member states – just think about names like BNP Paribas, Deutsche Bank, Generali, AXA and many others. The internal market allows for useful economies of scale and more possibilities to reach out to potential customers. The consumers on the other side benefit from a wider choice and lower prices. WIL: Having considerable expertise in the European financial services and financial market, what instruments of the European Stability Mechanism (ESM) that entered into force on September 19 2012 do you regard as most crucial and efficient? PDH: The ESM is one important element in re-establishing the confidence in the Euro-zone following the global financial crisis that evolved into a debt crisis in certain countries. The ESM is one piece of the puzzle. However, it has to be seen together with the important reforms that are undertaken to strengthen and improve the economic governance of the Euro-zone. Another fundamental part of this reform package consists of the financial sector legislation which we are in the process of implementing in Europe, rendering banks and other financial institutions much more solid, stable and less susceptible to crisis. WIL: As we all know, the financial crisis has been cause of economic erosion in Europe and all over the world. In the aftermath of the crisis, many citizens felt insecure, which also affected the image of the European Union. How do you view this and do you see remedies for such issues? PDH: It is true that we see tendencies all over Europe that citizens feel far away from national politicians and even further away from the European level and the decision-making process in Brussels. What I think has to be our priority now is to rebuild the confidence in the financial sector. This is what the Commission has tried to accomplish in recent years by proposing new, stronger rules for banks, for hedge funds, for credit rating agencies, insurance companies and many other actors. These rules are now largely agreed and in force. Of course, what people care about is not financial regulation but growth and jobs. However, in order to start the growth-generating process, we need a stable economic environment in Europe, creating that stability which companies need to expand and create jobs and consumers need to invest and consume. WIL: What do you think the future of the financial service sector will look like, given that economic crisis and the 2014 European Parliament elections and change of the European Commission? PDH: We are at a point where we see some positive signs of recovery, including in Southern Europe. Nevertheless, the general situation remains fragile and the path to recovery is not straight forward. What is important now is to continue with the reforms that have already been started. Of course, I cannot in any way pre-empt the choices and policy orientations of the incoming European Parliament and the next European Commission. However, as far as financial services are concerned, I think some efforts will be put on the enforcement of the new legal framework and the correct implementation of the new rules on the ground. Making sure that there is legal certainty and continuity for all the players in the market will contribute to European stability and prosperity in the longer term.